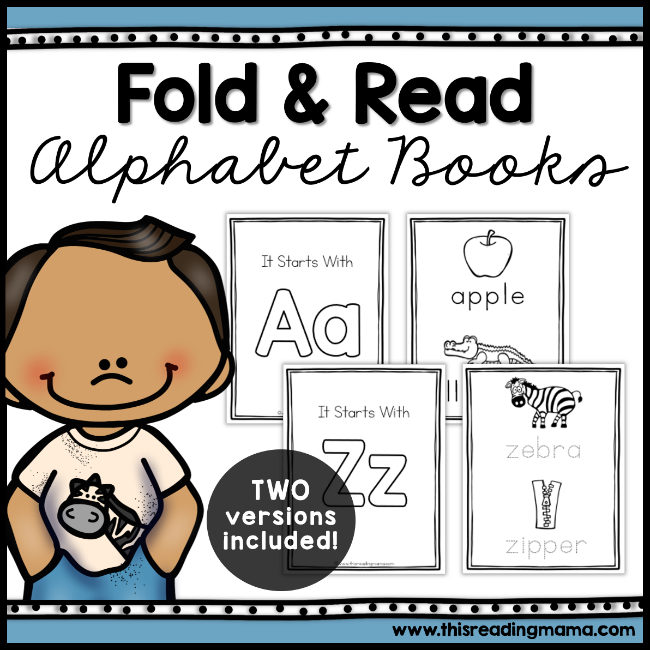 These mini alphabet books are EASY TO FOLD, short, and allow learners to zero in on one particular letter and it sound. Two versions are included! 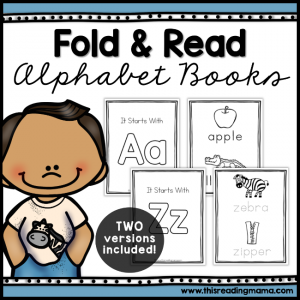 If you teach learners who need some focused practice on their letters, these easy to fold and read alphabet books are fantastic! 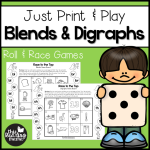 Six blackline pictures are included for each letter so learners have concrete examples for each letter sound. 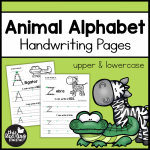 Each letter book emphasizes the beginning sound that the letter makes, including all five short vowels. The only exception is letter x, which has its focus on the final x sound in words like box and six. To make each book, just fold once on the horizontal line and once on the vertical line. Show your learners how to do it themselves so it’s completely no prep for you! 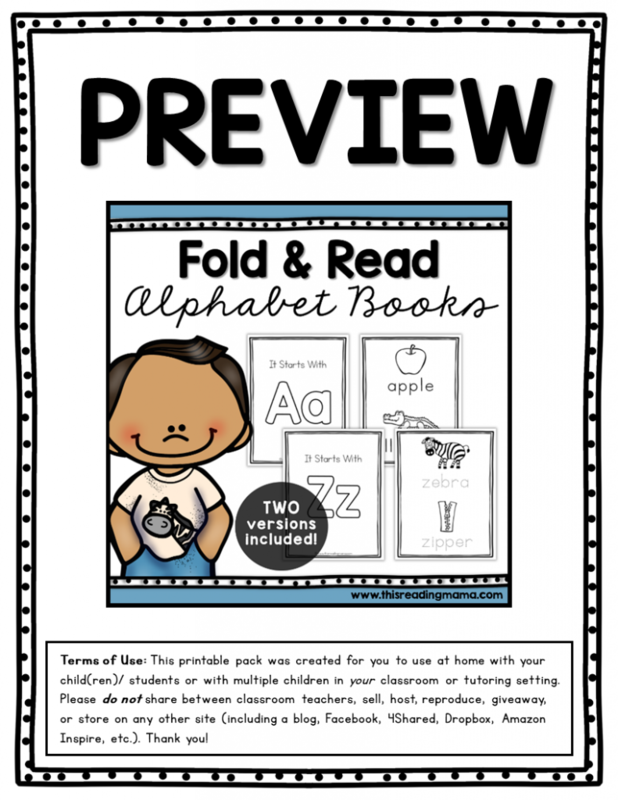 Version 1: Learners fold twice, color, and read the book. Version 2: Learners fold, trace each word, color, and read the book. 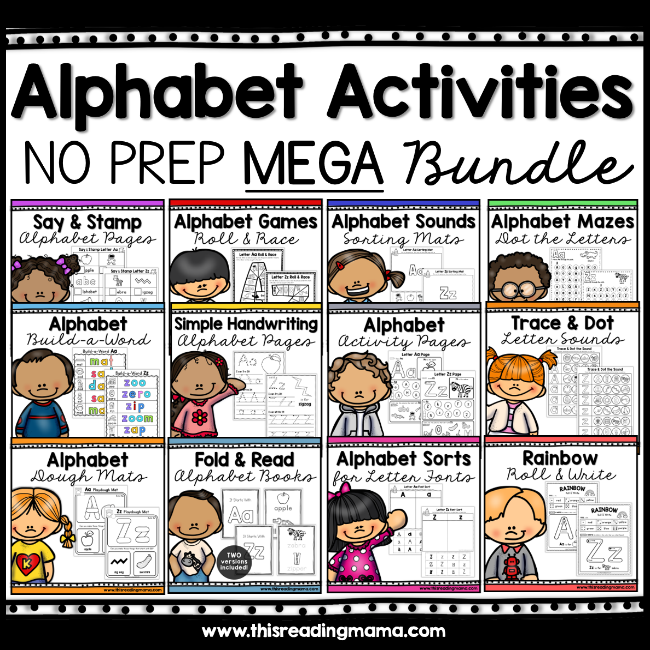 Grab a copy of our NO PREP Alphabet Activities MEGA Bundle Pack! 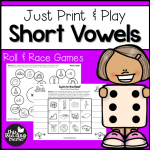 It includes our no prep alphabet books PLUS 12 MORE no prep alphabet activities for teaching your learners the alphabet!